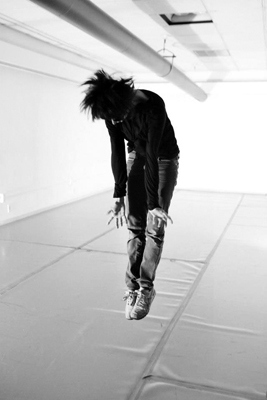 Christine Bonansea is a dance performing artist and choreographer. She has performed with numbers of companies including Faustin Linyekula, Companie Allias, La ALTERNATIVA, Sara Shelton Mann, Tino Sehgal, Nita Little, and more recently Katie Duck. Commissioned by festival organizations or residency programs, her recent pieces have been seen at Movement research-New York City, ODC-San Francisco, Portland, Dock 11- Berlin and will be seen at the Whenever wherever Festival-Tokyo 2013. Bonansea’s work has been supported by Theater Bay Area CASH Grant, the Zellerbach Family Foundation and the French Consulate of San Francisco. 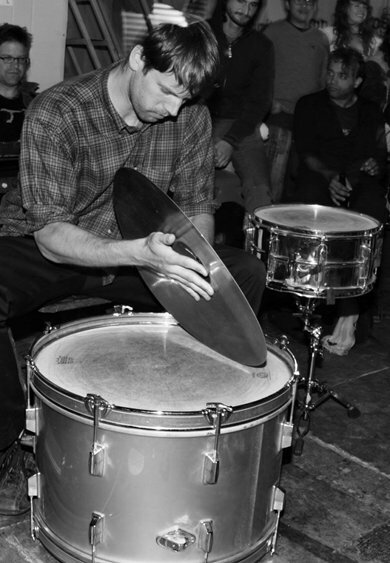 Jacob Felix Heule is a percussionist and electronic musician focused on sound-oriented improvisation following the traditions of electro-acoustic improv, noise, and 20th-century composition. His playing embraces both rough-edged intensity and disciplined instrumental technique. The primary content of his music arises from a heightened awareness of the physicality of sound – vibrating material objects creating air pressure waves. His playing is minimalist in allowing the raw sounds of objects to stand on their own: The material is the music. Heule’s Norwegian/American acoustic noise ensemble Sult has been actively touring the US and Europe, and released its second album, Harm, in 2013.